Canary Bird Pictures For Your Viewing Pleasure. Unfortunately...I have no idea who they belong to or who TOOK the bird pictures or even where I got them. Hopefully the webmasters and photographers won't mind sharing their pictures here at CanaryAdvisor.com. Some of these are very professional looking canary pictures while others are just snap shots. If YOU have a picture of YOUR bird that you'd like to add go to the bottom of this page where you can add photos, make a comment, or tell a story about your canary bird or about canary care. More photos is always a good thing! Add your photo to this page by using the simple form below. Keep in touch with us and sign up for CanaryAdvisor.com's Canary Tips! Ezine. 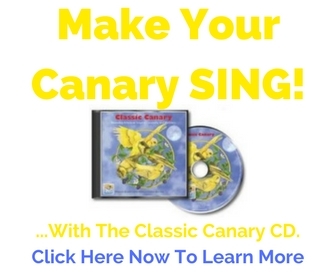 Even if you don't have a canary yet...Canary Tips! will prepare you for bringing home a canary some day. And I'll let you know when I add more canary bird pictures. "Dear Darren, I have just received your latest issue of canary tips...I really enjoyed reading it. Some of the tips came in very handy, especially the section about the canaries feet and legs...Thanks again for the most informative tips and looking forward for the next issue." Read what others are saying about Canary Tips! Ezine...Click here. Click here to view more canary bird pictures. These are just some photos of the canaries in my aviary in Indonesia. Thank you.